Peel and stick wallpaper is easy to use with no mess no fuss. Easily removable without damaging walls. Made in the USA. 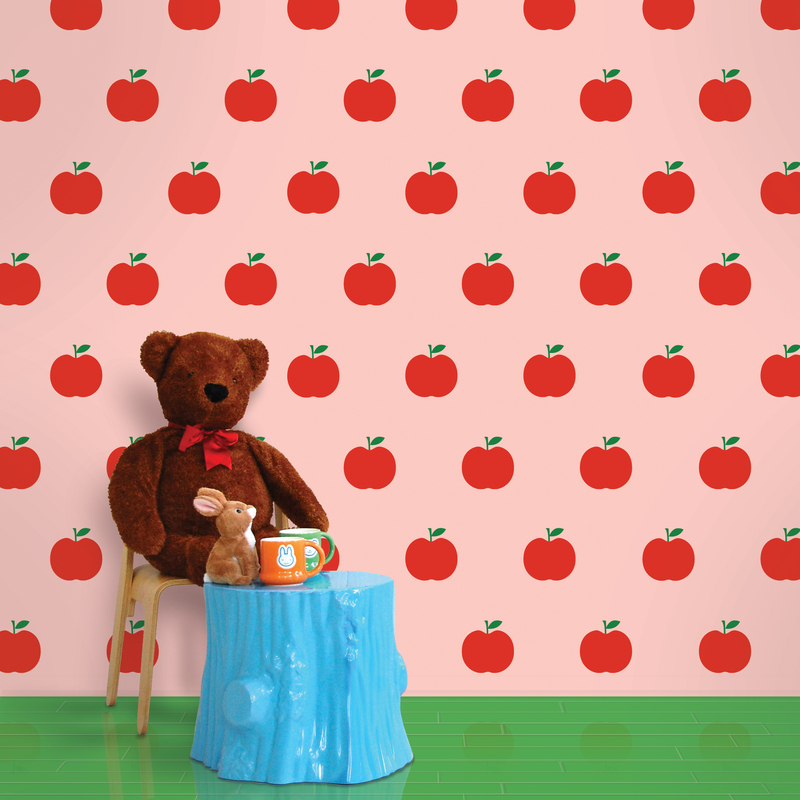 Design walls that pop with classically cute removable wallpaper that adds energy to any space, big or small. Create a home office with teacher flair, spruce up a single wall in a drab kitchen, or brighten a new baby's nursery. Trim each reusable wallpaper sheet to fit your weirdest walls. Use leftover pieces to line bookshelves and dresser drawers. 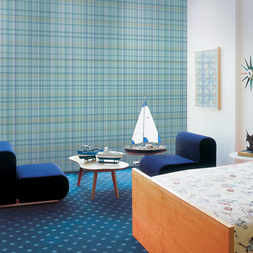 Avoid chemical glues and primers – this removable wallpaper comes off without a trace. A quiet show stealer has arrived. 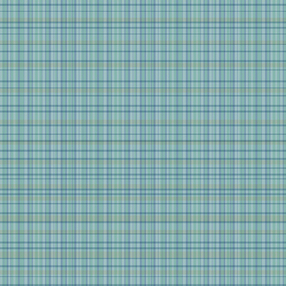 Temporary peel and stick wallpaper in Plaid Blue is completely harmonious yet with enough texture to scare away the boredom and escalate the cool. 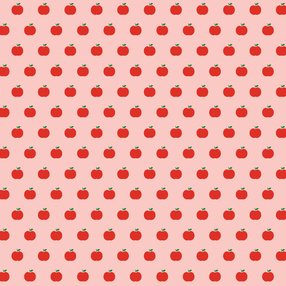 We love this trendy twist to a well-loved classic pattern, especially on a bedroom accent wall, kitchen or dining space or in the living room. Peel and stick each wallpaper sheet to cover walls in bedrooms, bathrooms, and playrooms without priming, prepping, or gluing. Create a closet fit for a queen or an accent wall to crown a majestic room. Banish damaged walls for good. 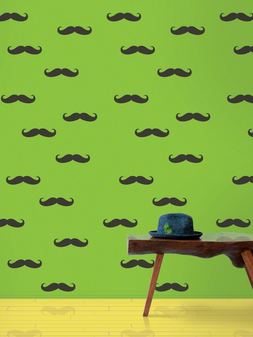 Reuse each removable wallpaper sheet to design new palatial spaces without ruining surfaces. 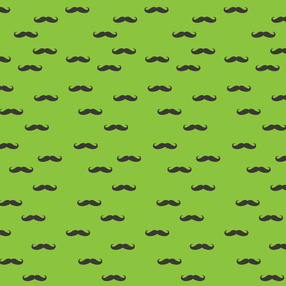 Show your stylish sense of humor and appreciation for well-groomed mustaches with removable wallpaper that's all charm and no commitment. This suave 'stache wallpaper doesn't require chemical glues, messy primers, or harsh pretreatments. 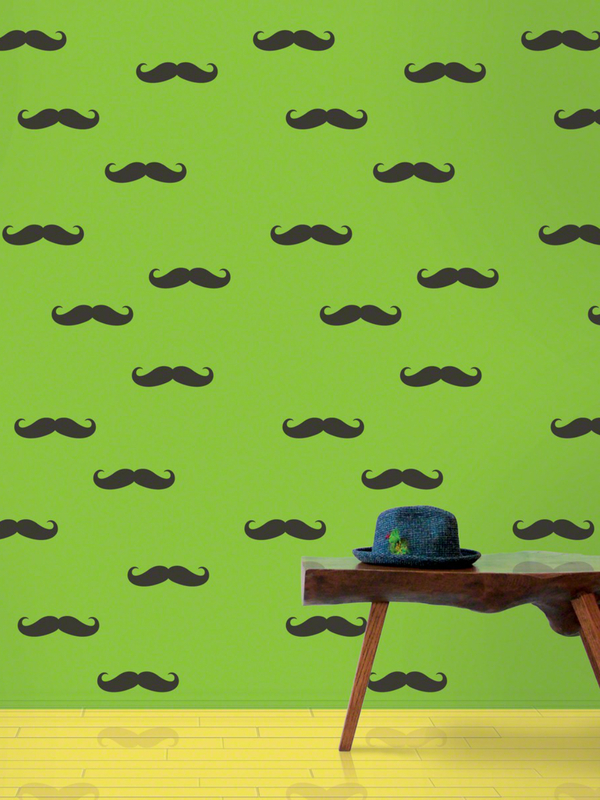 Top off a playful bedroom motif, add a standout wall where you need some character, or design a unique dorm room with major mustache appeal. Apply, reapply, and reposition – this removable wallpaper goes on easy and comes off without a trace. 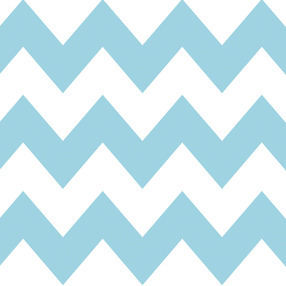 A bold pattern in a soothing color gives any room dimension without completely overwhelming the space. 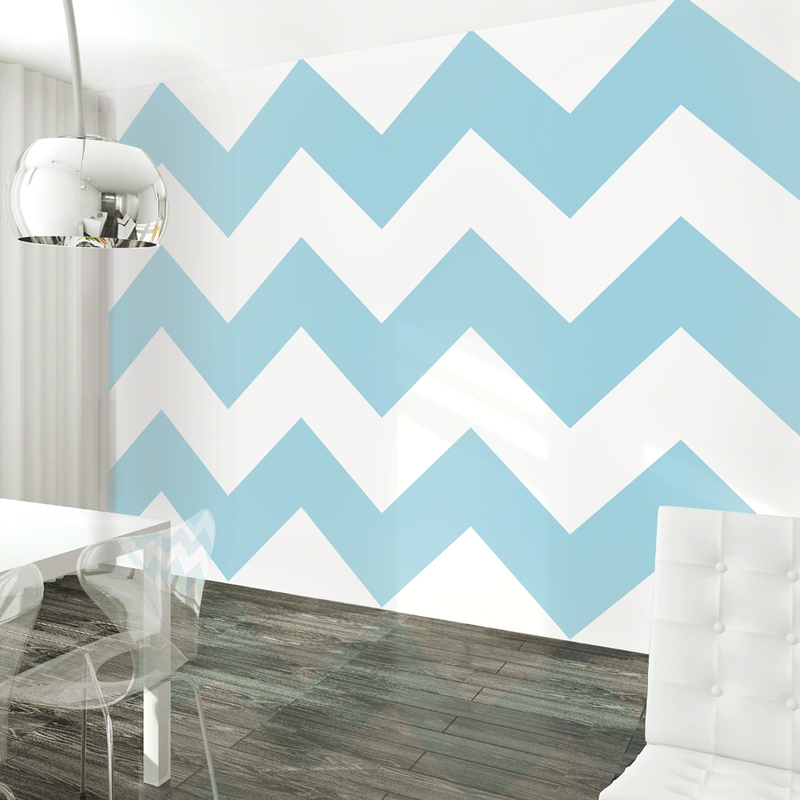 Use Chevron Aqua removable wallpaper behind bookshelves, inside a nook or on an accent wall to keep style on the forefront. A pattern and color combination that screams youthful and contemporary will transform your space as quickly as you can peel and stick. Remove later without damaging your paint.